9 yr old master John Aser has a long significant history starting from his new born period. He is a second born child to Mr. Nagoor and Mrs. Jagadeeswari. On day 3 of life he had high grade fever treated for blood born infection. 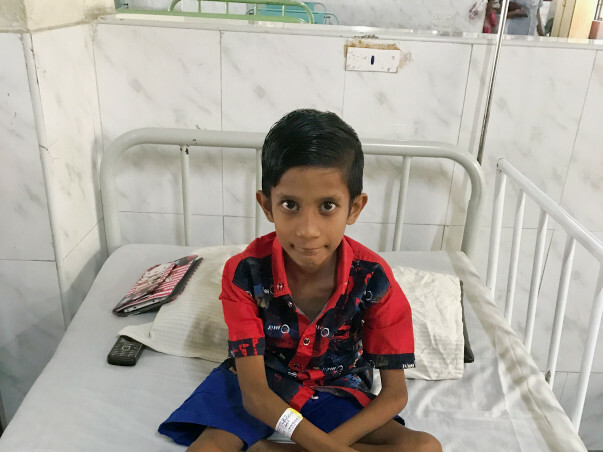 Since then he had persistent loose stools and he was not gaining adequate weight too, hence the doctors worked up for the underlying problem and was found to have Nephrocalcinosis(kidney stones) of both the kidneys. It was surprising to see kidney stone at this young age. So, to identify the underlying cause many blood and urine tests were done. 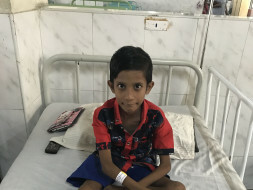 He was losing calcium in his urine and was started on treatment for the same. Even on treatment he was not showing much improvement , stone sizes were increasing for which he had undergone surgery few years ago. The problem now is persistent loose stools, poor height and weight gain. Since he has multisystem involvement, he will require extensive evaluation (including genetic studies, colonoscopy as early as possible). Unfortunately father is a daily wage laborer, could not afford any of the investigations as they had already spent a lot since childhood. 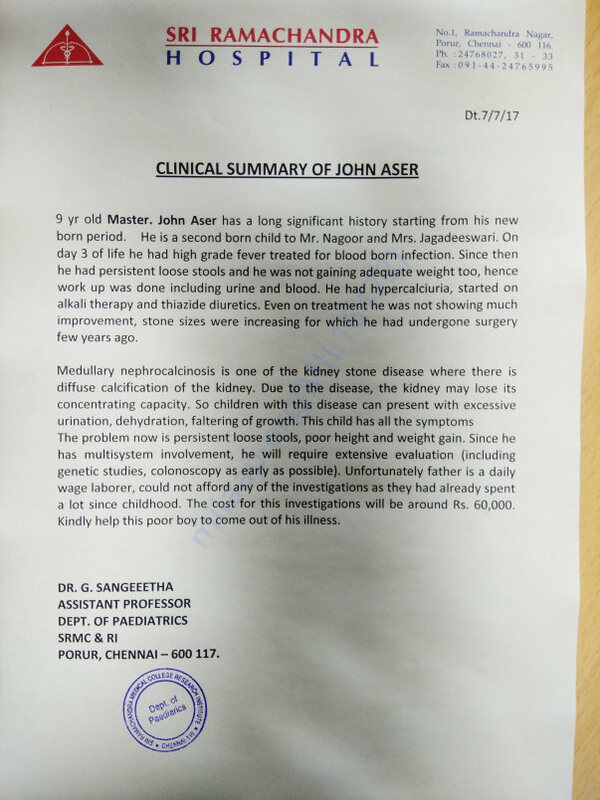 John Aceer had recurrence of symptoms which lead him to undergo surgical procedure again as the stone size was huge. After removal, he is fine. Still he needs regular medicines to keep the problem under control. Genetic study will help to narrow down the diagnosis as he has other system involvement too. John Acer is gradually gaining his weight and height. His symptoms are much better now. His genetic studies will help to narrow down the diagnosis. We have some news to share. Master John has gained 2 kg weight since the treatment started. But his kidney stones are increasing in size despite therapy. Hence it has been decided to go ahead with the genetic study to rule out renal tubular acidosis. We request you to keep him in his prayers and thoughts. We thank all the donors for their support. Please pray for his health and speedy recovery.